T/5 John W. Webster, son of Mr. and Mrs. J. W. Webster, graduated from Snyder High School. 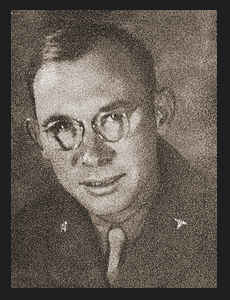 Entered Army in 1942, trained in Ft. Sill, Okla., Ft. Lewis, Wash., and Ft. Sam Houston, Texas; served in France and Germany; is now on duty in France. Awarded ETO Ribbon, Good Conduct Medal, Victory Ribbon.